GENUINE Lexmark 27 Color Ink Cartridges (10N0595) Color Only SEALED!!!. Condition is New. Shipped with USPS First Class Package. item 3 GENUINE Lexmark 27 Color Ink Cartridges (10N0595) Color Only SEALED!!! -GENUINE Lexmark 27 Color Ink Cartridges (10N0595) Color Only SEALED!!! item 6 2pk GENUINE Lexmark 17/27 Black and Color Ink Cartridges (10N0595) NEW SEALED!!! 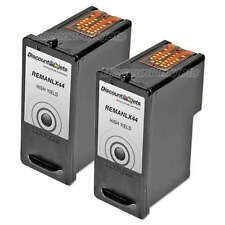 -2pk GENUINE Lexmark 17/27 Black and Color Ink Cartridges (10N0595) NEW SEALED!!! This package was great. I give it a five star. After printing 4 pages, the black ink low warning popped up. After 12 more pages, the blank ink was gone. I really thought it would last longer. The 16 pages I got from the ink cartridge were nice and black. I have not used the color cartridge, though the test page was missing one color band. Delivery was good. Great ink ! It met my expectations and that is as much as I wanted anyway. Ithink was fast and it works perfect. HP 63XL Tri-Color 1 HP Original Ink Cartridge F6U63AN. Exp. Mar 2021. New!